Donald R. Pettit, Ph.D, is an active NASA astronaut, photographer, inventor and scientist who has had the extraordinary experience of spending 370 days aboard the International Space Station, including 13 hours of space-walking, and was Mission Specialist 1 on STS-126 space shuttle mission. Aside from creating some of the most unique and stunning photographs ever made in space, during Expedition 6, Pettit used spare parts found throughout the Station to create a barn-door tracker. This was a unique device that compensated for the movement of the International Space Station relative to the Earth's surface, allowing for sharper photographs of city lights at night while orbiting in the space station. Pettit also invented a zero-gravity cup made from nothing more than a clear plastic report cover and some fancy NASA tape. The cup and his explanation of the science behind it - internal cup angle to the contact wetting angle for the "non-wetting" plastic - was featured in National Geographic magazine. Alan Bean, as a member of NASA's Apollo 12 mission, was the 4th person to walk on the moon, and is a veteran of the 1973 Skylab 3 mission. In 1981, he retired from NASA to pursue his passion in painting. 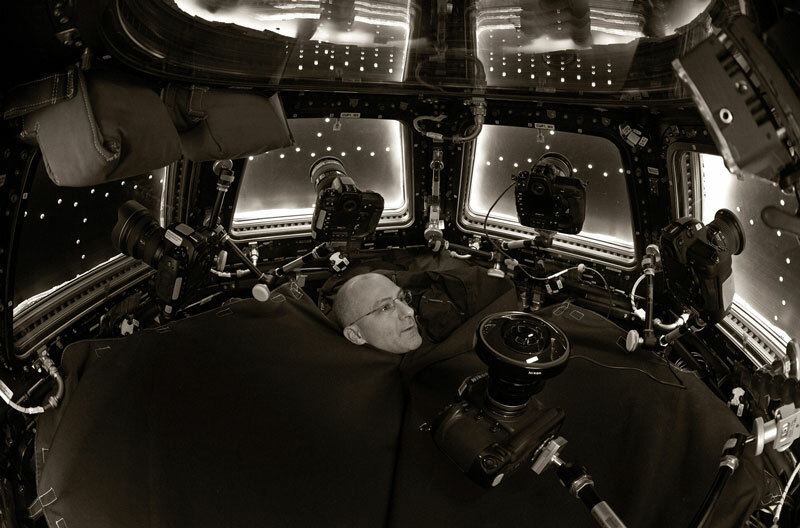 He is the only human being ever to paint scenes of space with the experience of actually having been to space. 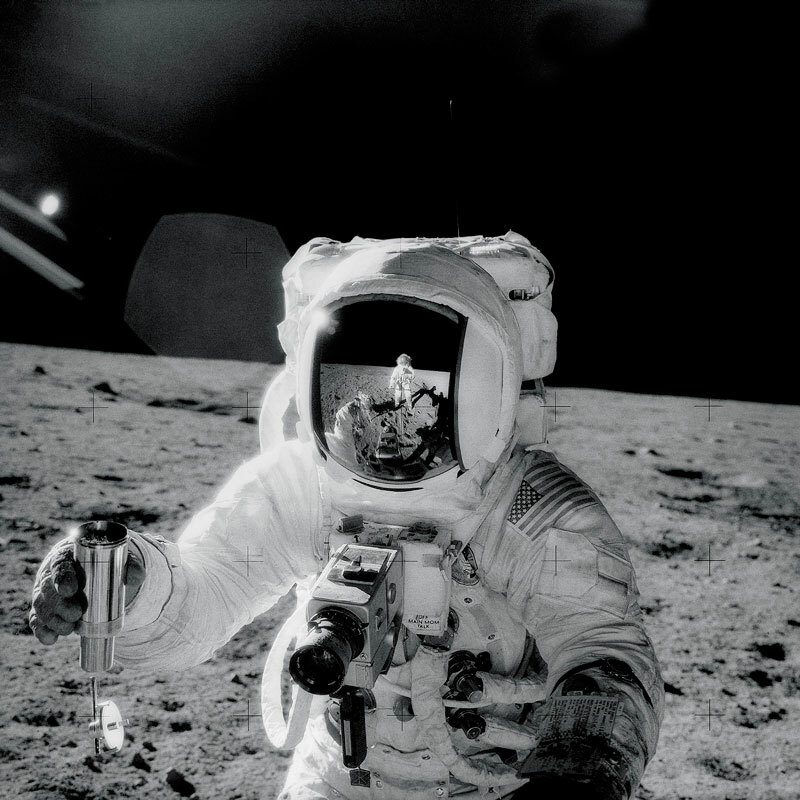 His work depicts various space-related scenes, and documents his own experiences in space, as well as those of his crew-mates from the Apollo 12 mission. He sometimes uses actual moon dust, tiny pieces of mission patches, a hammer used to pound the flagpole into the lunar surface, and a bronzed moon boot to texture his paintings.